Opening Day at the Farms Market!! Today was opening day at the farmers market (CRFM - Coventry Regional Farmers Market) and what fun it was! I absolutely love the farmers market. I grew addicted to it last year as we became regulars even visiting the winter market when weather permitted us. This year it was so nice to see some of the familiar face that we have come to know again this year. There were also some new people we met there too. The people at the market are simply wonderful. They are so friendly and social able, as are the dogs and their owners. The kids want to pet every dog they come across, however if we did that we would never get anywhere. We have met some really nice dog owners who are kind enough to tell you what kind of dog they have and maybe a story or two about them. I got some nice pictures of various thing at the market. Lavender from Fort Hill Farms, who is one of the Farmer's Cow farmers. We learned they have a great corn maze, gem mining and a discovery barn. They also host birthday parties. 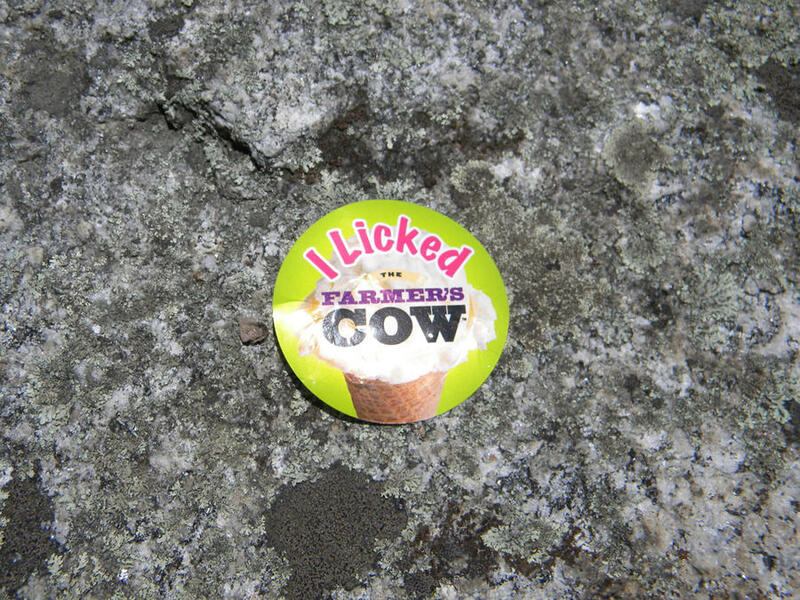 Today I can say that "I licked the Farmer's Cow." At least that's what the sticker says. I just get a giggle out of that every time I see/say it. I know, you say I liked the "Farmer's Cow" and think "what?!" It's referring to Farmer's Cow Ice Cream and boy was it good today. The perfect day for some ice cream. Ice cream, iced coffee, raspberry crumble, strawberries, kettle corn, pizzas, tacos, pulled pork sammies, muffins, cannolis, quiches, basil that is so good you can eat it while you walk, mint, carrots, soups, pasta, breads (both stuffed and not stuffed), pancakes and sausage (which was amazing), garlic, caramel apples...do you see where I am going with this. There is just too many good things to pass up. I blame the farmers market for me having to exercise so much during the week. This is all just from this week alone...we'll just have to see what next week brings.